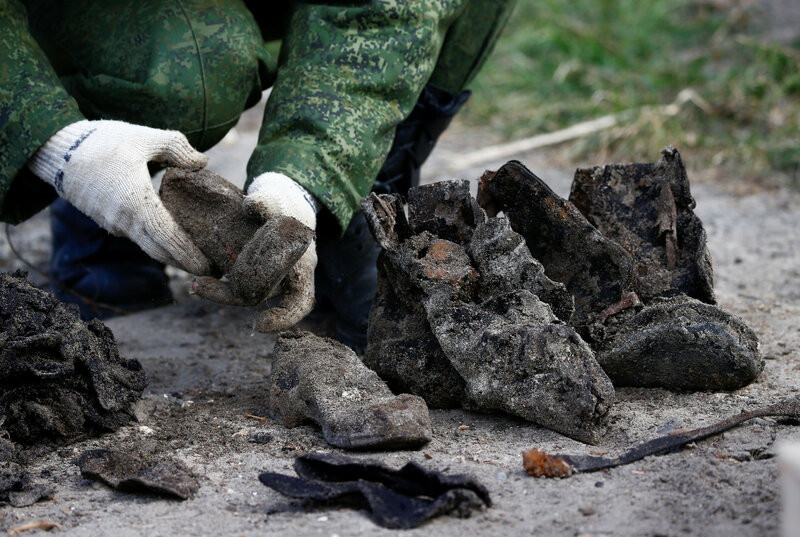 From February 2019 and onwards several news sites like the BBC, Reuters, and Israel National News have reported on the findings of mass graves in the city of Brest in Belarus. On the site of the former ghetto from World War Two construction workers have had to suspend building activities as military excavators are now salvaging the remains of murdered children, women and men. Not only bones, but also shoes and personal belongings are found in the ground according to Israel National News. The yad vashem has summarized the whole story of the Jewish community from the 13th century to 1944. This includes the pogroms in 1648-1649, 1660 and 1905. The Soviet occupiers took over the city from September 1939 to June 1941. They closed the Jewish community’s institutions as well as business, and in addition to this the Soviet occupiers deported the city’s wealthy Jews to Siberia. The Jews of the city were killed in series of mass-murder campaigns that began on the same day the National Socialist armies attacked the Soviet Union on the 22nd of June 1941. In the fall of 1941 the Ghetto was formed to concentrate the Jews of the city. In the fall of 1942 the ghetto was to be destroyed and several killings took place. The Yad Vashem pin points the cemetery, a yard, and the Jewish hospital as the main killing sites. For more see the source and for an overview of massacres perpetrated by the infamous Einsatzgruppen see e.g. this site report no. 78 contains information of the shooting of 548 persons in Brest. “There is a terrified panic amongst the Jews of the ghetto” –Asher Zisman, former internee in the Brest Ghetto, 2nd of June 1942. Excerpts from the diary are found here – the diary is cited in this source collection (p. 51) and extensively in this book. The sources are well-known and the apparent ignorance of the locals expressed in interviews to the BBC only shows that the many know historical sources needs to be continously revisited. Denmark is mostly associated with the rescue of the Jews in October 1943, but my Ph.d. project “German Aryanization Attempts in Denmark 1938-1943” will shed new light on Danish-Jewish experience – especially the minorties businesses. Danish-Jewish business were directly targeted by Nazi-Germany by as early as 1937 causing German companies operating in Denmark to fire Jewish board members or Jewish representatives. At the same time an increasing number of Jewish business’ were facing contract cancellations by German companies. The Danish government was alerted to this policy by nervous businessmen seeing the import options disappear from Denmark’s second largest trading partner at the time. The Danish government faced a neighbor with a rising military and making claims for areas containing German minorities. Denmark had one of those in the southern part of Jutland, while being unable to secure military alliances. In 1939 the Danish Government openly declared that lay-offs on the basis of race were out of their hands as long as they were done in accordance with Danish Law. In essence the Danish Government allowed the import of German racial policies on Danish soil, because it viewed as too riskful to protect its’ Jewish minority’s business options. My dissertation will closer examine the overall consequences of this policy in Denmark and also investigate what happened during the war period. Author Jacob Halvas BjerrePosted on 31. March 2016 1. April 2016 Tags aryanization, Denmark, History, holocaust, Jewish history, occupation, ww2Leave a comment on German Aryanization Attempts in Denmark?